Little Miss is a little young to make them but she does love to sort the beads out. It’s been a great way for her to practice her colours. Little Man is old enough to get enjoyment out of them. 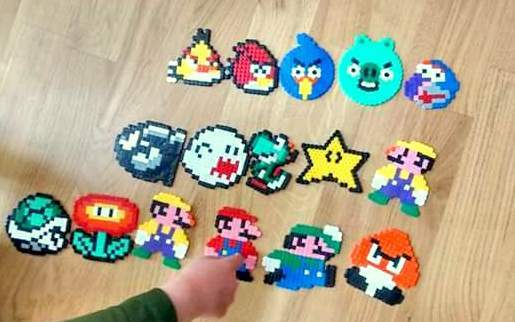 He’s been working hard to build up his collection of various characters. 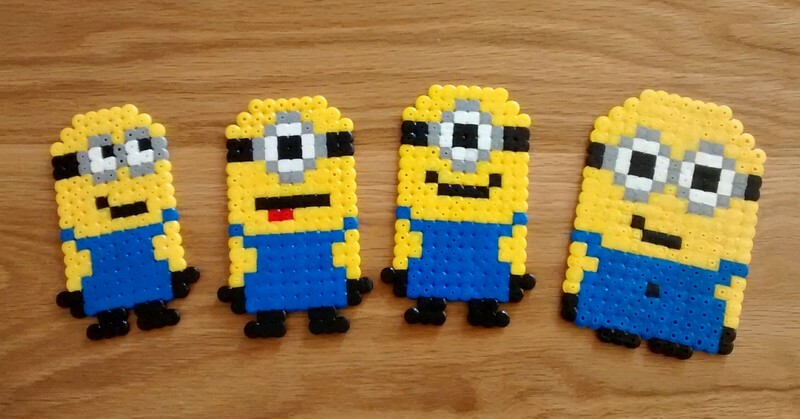 They are seriously Minion crazy! We haven’t made any into keyrings yet but the next ones that will inevitably be made are earmarked for keyrings. 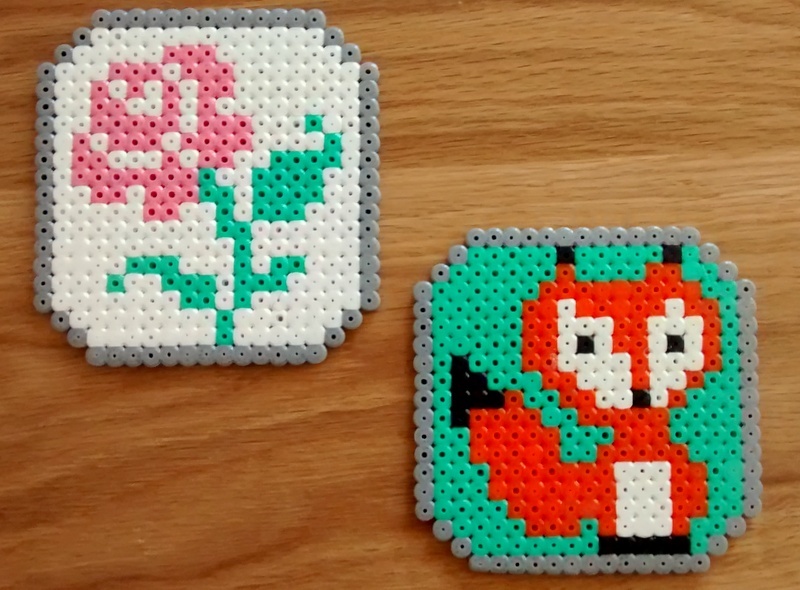 Despite all of these, the thing I’ve discovered, that I personally think is the best thing about hama beads is that they pack flat but are great little toys. They have seriously saved many a long car and take up almost no room! They are definitely a hit in this household! If you fancy having a go yourself, there’s loads of inspiration on pintrest. 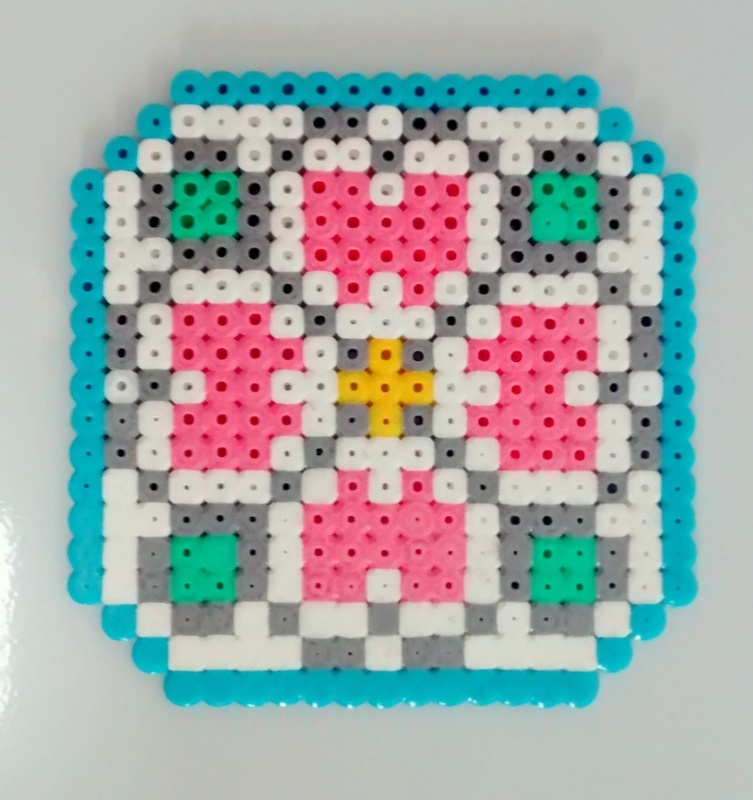 My Hama Bead board is here. Yes! I may have been playing with them too. It’s addictive!